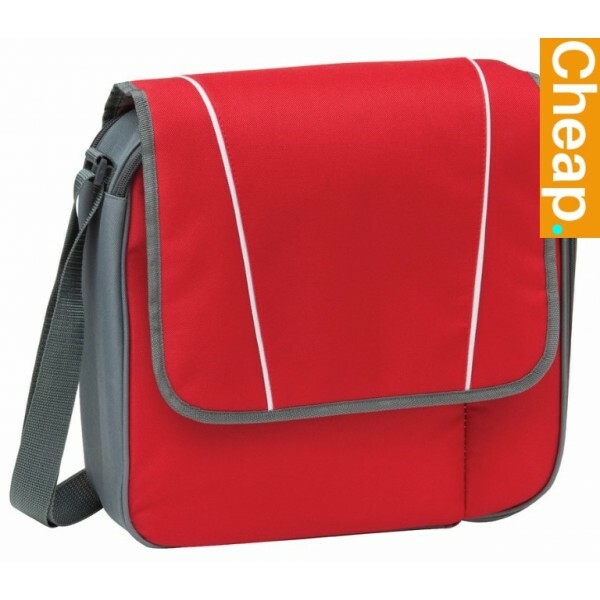 This is a great bottle cooler satchel for daily or occasional use. You can carry to 3 bottles of your favorite beverage. These are great for those who keep their drinks cool while on the go. It has dividers within the insulated main compartment. As well as side compartments, both with zipper closures for all. It also offers up a 2-person setting as well. We deliver bags in bulk Australia wide only. It is made of durable 600D polypropylene. Comes in one tri color option red and grey with white highlight. Features an easy to use and carry shoulder strap, freeing up your hands for other things. Great simple but useful product for many.